Write your future in history. In the heart of the Sassi of Matera, the third most ancient city in the world, a hub for reaserch and technological innovation it’s already a model of excellence and it’s waiting for you. Magnet – the digital village. Final date for applications: July 31st 2018. Applying for the call to tender for reaserch projects, you can bring your business, your enterprise or your start-up to the digital village Magnet, the hub for research and technological innovation in Matera. The Matera city council provides an equipped and highly organized building complex, the Ex Ospedale San Rocco. Here you will benefit from ultrawide-band, 5G technology, mentoring and help with european funding. The city of Sassi can be considered a bridge between past and future and an international digital reference point. Magnet, the digital village, is located in Matera, an extraordinary place that speaks for itself. Matera is the third most ancient city in the world: in the unique and ancient district of Sassi lies the heart of humankind. Today, this timeless city is among the five ones in Italy experimenting 5G technology and ultrawide-band. During the years, perseverance, hard work and resilience have made their way through the allyways and caves of the city. Defined as “national shame” in 1951 because of the living conditions of people in the ancient neighbourhoods, Matera became a UNESCO world heritage site in 1993. After that, the city has risen up to be designated as European Capital of Culture 2019 – the first city of southern Italy to receive such nomination. Magnet is the only digital village in the world located in a Paleolithic city: technological and digital innovation finds room in a surprising and magnetic place embracing thousands of years of history. As the Sassi represents the ancient past and timeless identity of Matera, Magnet is the technological hub where to develop the future through ditigal applications, 4.0 business opportunities and 5G technology. 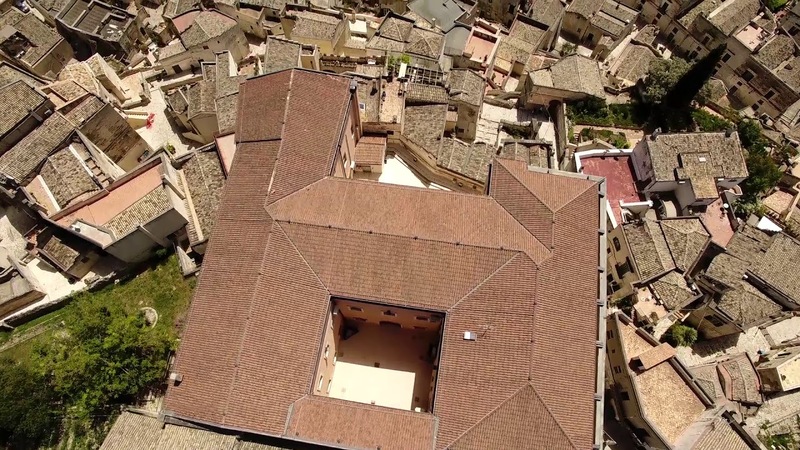 Why Magnet, the digital village in Matera? Magnet is a digital village aiming at taking the story of your enterprise into the future and becoming the hub of digital revolution. This hub for research and technological innovation finds its strenght in Matera’s magnetism, along with its artistic, architectural and historical heritage. Here, the hub becomes a scientific and cultural reference point for the new generation of high-tech enterpreneurs. On the eve of 2019, year in which Matera will become European Capital of Culture, the city offers a stimulating and vibrant habitat, source of inspiration for start-ups, large enterprises, assets and cutting-edge projects. In Matera, technology goes along with cultural heritage preservation and promotion, creative and digital industries development, energy efficiency technology and environmental monitoring. Among pubs, restaurants, offices and B&Bs there’s a different, creative universe populated by engineers and new enterpreneurs aiming at building their own business thanks to Magnet, the digital village. Matera and its people are going well beyond 2019. The video above has been produced during the G7 finance meeting which took place in Matera and Bari in 2017. It’s a suggestive presentation of Matera and its magnetism. What can Magnet do for your enterprise? Magnet provides spaces with telephone network connections and electrical system, along with mentoring, specialised assistance and support. All in up to 250 square metres of floor space per person. Check-ups are intended to acquire useful informations and detect strenghts and weaknesses of your project. In this way we are able to identify targeted interventions to improve your performance. Mentoring and accompaniment are included in the main management areas, except for the merely technical and productive ones. You will find support in accessing soft or ordinary innovative financing and you will be helped in activating research and innovation projects, internationalization and technology transfer. You will be included in a net of relations and connections through several fields, such as culture, research, innovation, finance and regional, national and international business. Arts sector – including visual art, cultural heritage, television, radio, music, literature, new media, architecture, design, graphic design, fashion and advertisement. San Rocco building complex is the ideal location to be inspired by the Sassi and project the digital part of film production. Many producers have already recognised the cinematographic potential of the Sassi districts and have exalted it through brand new technologies. Thanks to precision agriculture means, every portion of farmland can give maximum results in productivity, quality and environmental friendliness. It's possible to accurately determine every single plant needs. You can find this high-technology in Matera. The cultural heritage of Matera is one of our most precious resource. It's important to protect it, preserve its eternity and its cultural identity, not forgetting its functional efficiency. Nowadays we can do all this in a more complete and prompt way with the help of new technologies. Energy efficiency and environmental monitoring are part of an indissoluble and useful combination to protect the well-being of our planet. Adopting the best technologies and techniques, along with an environmentally-aware behaviour and a responsible use of energies, can help us cut waste. ``Do more with less``: that's the key! Matera’s metamorphosis: from old neighborhoods to the digital village. In Matera, culture is a byword for production and dissemination of ideas. We are well aware our culture is energy and social fuel , transforming thoughts into action. Our culture is practical. Matera is over 8000 years old but it's moving towards the future through a technological path on which we are working. No wonder Matera is going to be one of the first five italian cities to experience 5G technology. The innovation strategy for Matera. We are formulating the innovation strategy for Matera. Many enterpreneurs from Cina, Israel, Canada and Great Britain have already chosen to support our project. Thanks to high-speed fiber and 5G technology, with a total coverage of the Sassi by December 2018,the technological hub in via San Rocco will become a catalyst for enterpreneurs interested in the call to tender. Researchers and enterpreneurs can count on several funding: one million euros is available for researchers, two million euros are available for enterprises applied for the call Start&Go. Two million euros more are destined to cultural and creative enterprises of the cinema industry, on which we focus significantly. Embracing the technological development and innovation strategy for the municipality of Matera and neighbouring territory, the city council of Matera is setting up a promotion committee. In this committee public and private entities will be involved, in order to promote the use of local technological means and professional skills. Magnet is the right place for your business. Download the application forms to submit your project, have a chance to get your space in Magnet and collaborate with many other enterpreneurs. Let Matera magnetise you! Deadline for applications: July 31st 2018. If you or your enterprise need any further information or require help, please send us an e-mail.